This class covers footwork and handling skills, as well as the mechanics of come-up sits, right, left and about turns, and changes of pace. This is a progressive class that runs in 6 week sessions. Instructor’s approval required. 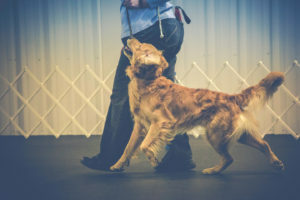 Visit our Competition Obedience Class Calendar for start dates and session status.